Even in a tight labour market, unlocking the door for the chosen career is going to be tough. Education will always be the key. Recruiters are more likely to put candidates with a college degree or university closer to the top of the list, especially if the post-secondary program includes studies in fields linked with aviation. Indeed, it is estimated that up to 95 per cent of pilots hired by commercial operators also have a college degree. Canadian colleges with aviation programs teach essential skills not always found at flight schools, something else to consider when selecting a flight school. These skills include a deeper understanding of the technical aspects of the industry, critical decision-making and so-called “soft skills” such as effective communication; an important consideration on the flight deck, or flying for a corporate charter provider where the client base is often top executives of some of Canada’s largest corporations. Not everything taught in a college setting will be connected with aviation, and students with broader career ambitions outside of a long-term career in aviation may want to consider flying school while taking a degree program not so closely tied in with the aviation and aerospace industry. Although this may limit your potential within the airline sector. Aviation is also an assessment-based and cyclical business. Think of a degree as an insurance policy against an unexpected failed health check or layoff. Finally, the subject matter for many aviation-related college courses is set and taught by industry professionals, and offer students greater opportunities to build a network to land secure that critical first job. The Aviation Management Diploma at Yukon College trains in a unique northern climate that offers variable topography and an increased number of acceptable flying day. Part of the School of Business and Leadership, the diploma comprises a block transfer of pilot training credentials earned at Alkan Air (or other recognized flight schools) that equals one year or 30 credits and an additional 30 credits earned at Yukon College. Students are expected to earn a commercial pilot licence while concurrently earning academic credits. However, students may enter the program with some pilot training (a private pilot licence for example) or a completed commercial licence. The British Columbia Institute of Technology (BCIT) is Canada’s largest English-language aviation training school. The Institute has paired with Pacific Flying Club, one of Western Canada’s premier flight-training schools to provide an opportunity for students who wish to become airlines pilots with a strong skill set of aviation industry knowledge. It is a fully integrated program that combines flight training with industry focused academic training. Flight training is conducted at Pacific Sky Aviation’s flight school at Boundary Bay Airport, outside of Vancouver. The College of New Caledonia operates an Aviation Business Diploma program in conjunction with Guardian Aerospace Holdings, a Canadian licensed flight training and air taxi operator. The program is designed to provide highly trained single engine VFR pilots for entry level pilot in command positions with Canada’s northern air carriers and with similar air taxi companies operating in difficult conditions around the world. Douglas College’s Associate of Arts Degree for Future Professional Pilots is a program for students who wish to continue to a career in the aviation industry. This program is jointly offered with Professional Flight Centre, located at Boundary Bay Airport. Douglas College provides the academic instruction leading to the Associate of Arts Degree, and Professional Flight Centre provides the ground and flying instruction. These two distinct and separate components together provide students with the foundation needed in the aviation industry. The Commercial Aviation diploma program at Okanagan College consists of two distinct and separate areas of study: flight training and business studies. The business portion is completed at Okanagan College and normally consists of two business courses per semester for a total of eight courses over two years. The flight-training portion taken with Southern Interior Flight Centre, out of Kelowna Airport, and consists of flight training, theory and exams. Southern Interior Flight School offers graduating students the opportunity to become flight school instructors. Red Deer College’s (RDC) partnership with Sky Wings Aviation Academy combines a foundation in business with hands-on flight training. The college provides high-quality academics that are critical to the credibility of the Aviation Diploma Program. This two-year course enables students to earn a certificate in Business Management while obtaining an Aviation Diploma. Flight training is provided approximately ten minutes from the RDC campus at Red Deer Regional Airport. Sky Wings Aviation Academy has providing flight training since 1982. Highlights of the Aviation Diploma Program include a trans-continental flight crossing the Canadian/U.S. border, familiarization training for a regional or national airline and crew resource management. Most RDC courses are university transferable. The Saskatchewan Polytechnic is a member of Polytechnics Canada, an alliance of 11 research-intensive, industry-responsive post-secondary institutions. The Polytechnic’s Commercial Pilot program is offered in partnership with the Saskatchewan Aviation Council, a membership-based association. The Commercial Pilot diploma program provides a strong foundation in the basic principles of aviation. Students study aviation-related topics such as the theory of flight, advanced aircraft systems and flight. Flight training takes place at a student’s home flying school. Algonquin College’s Aviation Management program is a starting point to launch a career in aviation. This two-year course is designed to provide students with the knowledge and skills required to become a commercial pilot. Through a series of classroom-based courses and hands-on practical labs, students are provided the opportunity to develop the required level of proficiency. Algonquin has contracted the Ottawa Flying Club and Ottawa Aviation Services to provide up to 250 hours of flight time experience. Conestoga pathways enable students to build on their academic achievements in order to earn a degree or additional credentials. Pathways are formed through agreements between Conestoga and partner institutions. The Aviation – General Arts and Science program is a collaboration between Conestoga and the Waterloo Wellington Flight Centre (WWFC) and Great Lakes Helicopters (GLH). Students in this program will take classes at the college and flight training with WWFC or GLH, depending on whether they have chosen the fixed-wing or rotary-wing option. Training takes place at the Region of Waterloo International Airport. The Aviation Flight Management program at Confederation College combines business, management and flight training into one program. The program has been running at Confederation since 1973 and is a demanding academic program with rigorous flight standards. The business and management training provide students with background knowledge to complete a detailed and comprehensive understanding of today’s aviation industry. The college operates its owns aircraft and flight simulators at its Aviation Centre of Excellence hanger at Thunder Bay International Airport. Georgian College | Barrie, Ont. The Georgian College Aviation Management program gives students knowledge and hands-on experience in Aviation and Management as well as provides co-operative work within the aviation industry. A variety of aviation courses provide students with a solid understanding of the aviation industry in Canada and around the world. Georgian has contracted with Future Air to provide Flight Labs that offer practical training required by its Aviation Program students. Future Air gives students a structured foundation in an aircraft cockpit and operating within an airport environment as part of the learning process. Sault College has been training and graduating professional pilots since 1974. Sault’s three-year Aviation Technology Flight program includes on-campus classroom and simulator room facilities. Students gain hands-on training with a fleet of aircraft. Flight training is conducted at the Sault College hangar at the Sault Ste. Marie International Airport, just 15 minutes from the college. The surrounding landscape provides a safe backdrop to learn the art of flying. Students may receive advanced standing from Algoma University, towards a Bachelor of Business Administration program. Seneca College has been a national leader in aviation education for more than 40 years, and continues to respond to emerging industry demands. The college is now educating students at the degree level. The Honours Bachelor of Aviation Technology program provides a rigorous aviation technology-based curriculum and application of this theory to aviation. Students gain the skills and knowledge to operate safely in a complex aircraft, to understand the technologies and human factors that affect the successful operation of an aircraft, and to assume the professional responsibility associated with being a commercial pilot. Flight training and classroom instruction for students in year’s two to four of the Honours Bachelor of Aviation Technology program takes place at Seneca’s state-of-the-art Peterborough Campus. Seneca’s flight consists of 19 aircraft, including Cessna 172s (including four with Garmin G1000 glass cockpits), Beechcraft Bonanza’s and Baron’s (including one with a Garmin G1000 glass cockpit). Students begin their flight training in the single-engine Cessna 172 before moving on to the Bonanza’s. Training in the Bonanza’s includes long distance flights to places such as Burlington, Vermont, Fredericton, New Brunswick and Detroit, Mich. Students then progress to the twin-engine Beechcraft Baron. Seneca’s Airline Pilot Operations program is the only graduate certificate program of its kind in Canada. The program delivers a comprehensive education in airline operations that includes the study of airline operations and administration as well as extensive practical training to prepare students for direct entry into a First Officer position in airline operations. 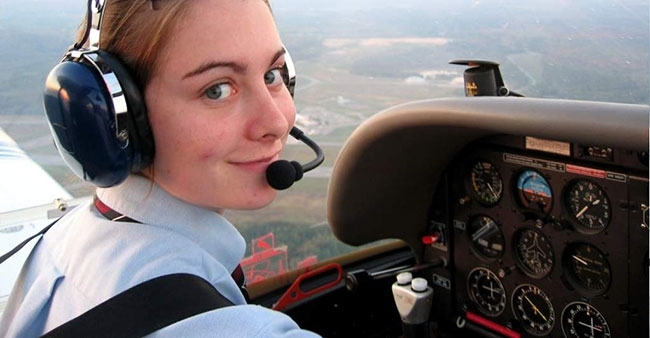 Halifax-based Jazz Aviation and Seneca College have recently enhanced its career pathway partnership for student pilot. The agreement includes a Cadet program whereby a group of top performing students are selected as Jazz Cadets following completion of the third year of their aviation degree and evaluated on professionalism, discipline and both flight and academic performance during their fourth year. Upon completion of the degree program, the Jazz Cadets undergo a comprehensive review and simulator evaluation with Jazz, Canada’s third largest airline. The enhancements to the agreement include the addition of a flight simulator pathway and two scholarships for student pilots enrolled in Seneca’s Bachelor of Aviation Technology program. Moncton Flight College | Moncton N.B. The Moncton Flight College (MFC) has been training pilots since 1929, and is the largest private flight school in Canada. Since its inception, MFC has taught over 20,000 pilots from around the world, with graduates holding senior positions throughout the world’s airlines, aviation authorities and companies. The college educates aviation professionals with state-of-the-art curriculum, highly qualified instructors and modern facilities and equipment. MFC’s Moncton campus benefits from efficient airport infrastructure and low commercial flight activity. There are 21 combined training areas in Moncton for local training, all within five minutes flying time from the airport. This proximity makes MFC one of the few major schools with training areas so close to its main base of operations, resulting in maximum training time on every flight. Because of its location, students benefit from four-season training, and are better equipped to safely manage different weather conditions. MFC has partnered with Mount Allison University is offer one of the few aviation programs in Canada that allows students to earn an undergraduate degree incorporating flight and ground school training. Drones and unmanned aerial vehicles (UAVs) is a growth industry in Canada. Transport Canada regulates the use of drones and UAVs. It is important that operators understand and comply with all rules governing this sector. For example, all airports, heliports and seaplane basis should be considered “No Drone Zone” unless the operator has permission from Transport Canada (it is recommended that operators fly outside a nine kilometre radius). Canada also limits and controls the use of unmanned aircraft inside national parks. Penalties for non-compliance are steep and can result in up to $25,000 in fines for a single violation and/or jail time. Operators who fly a UAV for work or research – or if the UAV weighs more than 35 kilograms, a Special Flight Operations Certificate (SFOC) is required. An SFOC outlines where and how a UAV can be operated. Transport Canada recommends that UAV training should be similar to training taken for manned aviation since fundamental knowledge, experience and skills are basic requirements to assure a safe and effective operating environment. Canadian Unmanned | Medicine Hat, Alta. Canadian Unmanned Incorporated (CUI) is a highly specialized UAV/drone and support company whose objective is to generate a safe and educated culture for both civil and commercial operators throughout Canada. CUI is the only organization of its type in Canada that offers a 2.5 day unmanned air ground school course for civil and commercial operators. This course is compliant with training requirements set out by Transport Canada for operators of small UAV’s under 25 kg. in weight for visual line of sight operations. This course is based on the proven Canadian Centre for Unmanned Vehicle Systems (CCUVS) ground school with over eight years of serving the Canadian UAS industry. The course focuses on aviation themed instruction, including aerodynamics, air law and regulations, communications, weather and Basic UAS 101, with regular industry updates. Students receive instruction for an Industry Canada Restricted Radio Operators Licence, which will allow them to operate and monitor aviation band frequencies. CUI has successfully trained more than 1,400 students in the past seven years, and offers its course both in house and on location as required. The CQFA maintains the skills of professionals in aviation through more than 50 courses, including a light unmanned aerial vehicle (UAV) professional pilot course, which has been offered since 2007. The 140-hour, light UAV training is given by professional UAV operators and covers the regulations, aerodynamics, flight discipline and human factors for operating a light UAV aircraft. The course covers all phase of a drone mission within the framework of a commercial or public safety operation. All the theory necessary for the operation of a light drone for the purpose of a commercial or public security flight is presented and learned prior to practical flight. The hours of supervised practice are followed by solo flying hours and culminate into a practical flight test. The student will develop the skill and ability for planning, operational risk management and the preparation and execution of actual missions.